This barbarian sword is the most complicated piece Darksword Armory have made to date. The complex and elaborate segmented bronze casting rendered this an incredibly complex project. 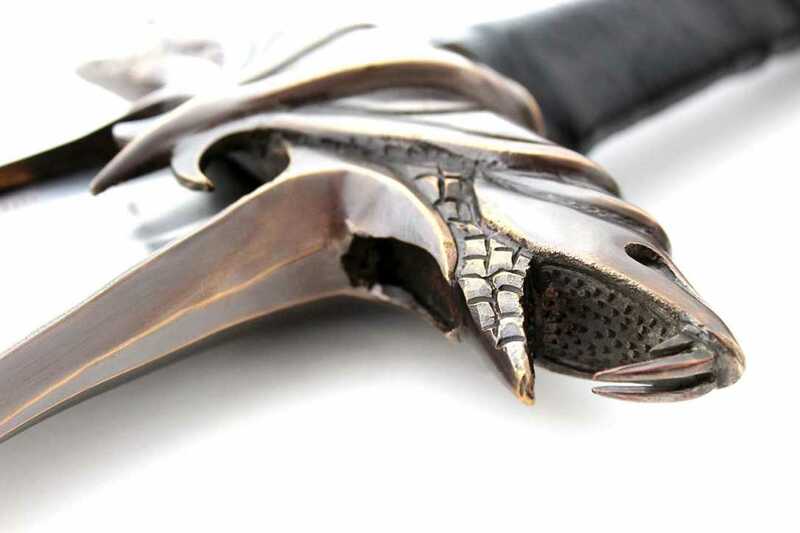 The fitting of the long ‘claw’ guard to the blade was no easy endeavor. While the guard and pommel are crafted from solid bronze, the blade is forged from 5160 High Carbon Steel, dual hardened at a Rockwell of 60 at the cutting edge and 48-50 at the core. 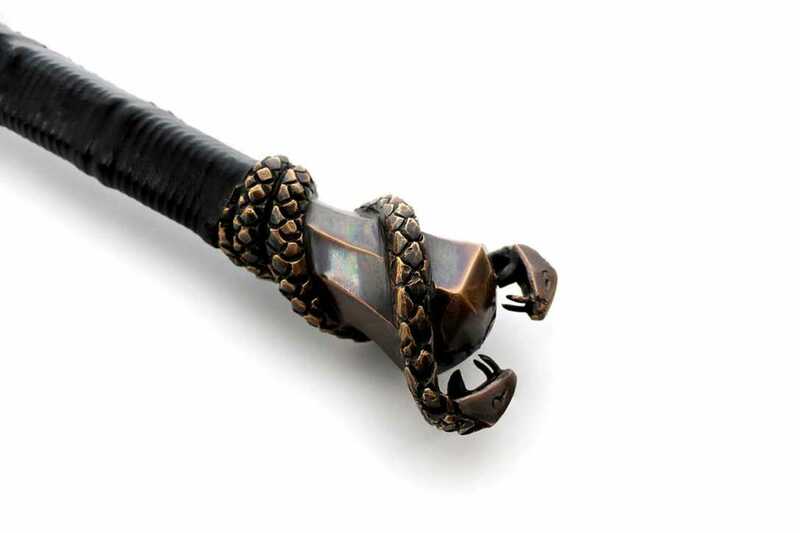 The design for the barbarian sword began as an inspirational piece while Eyal, the owner of Darksword, was in Paris. 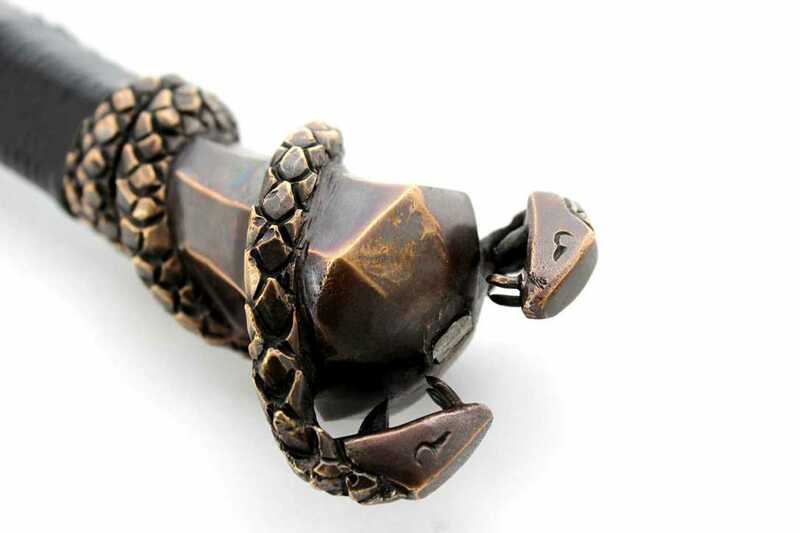 While walking he stumbled on a beautiful door knocker with intertwining snakes. The result was a brainstorming session with our designer to finally create the Warmonger. 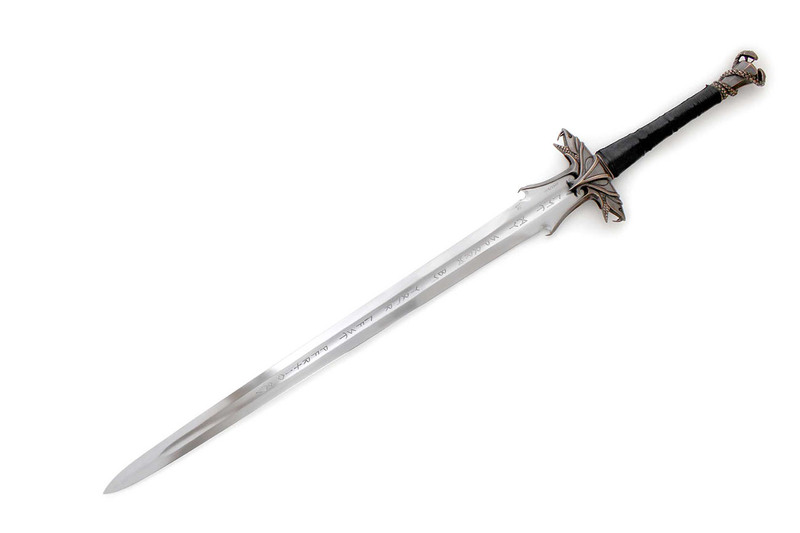 Imposing, intimidating and brutish, the Warmonger is the quintessential fantasy sword, capable of delivering devastating blows. 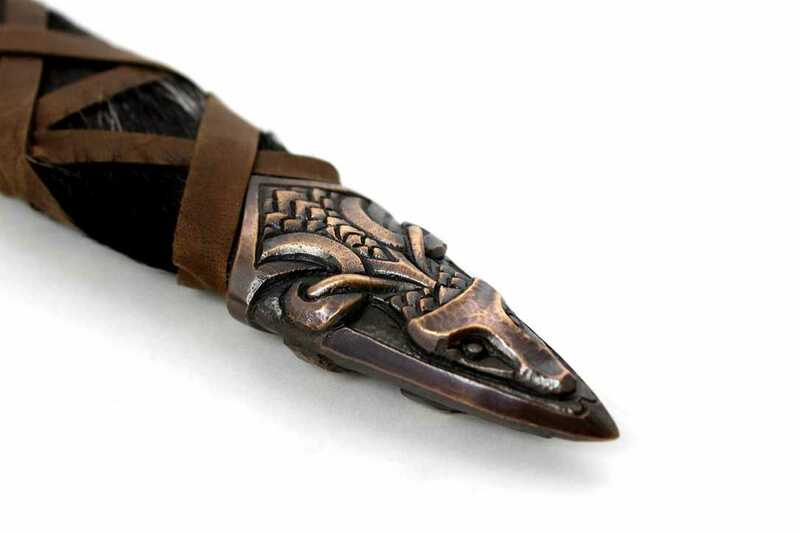 The mythic blade, with its crisp deep fuller, is inspired the Viking swords recounted in the legendary sages of the northern peoples, known as fornaldarsaga. 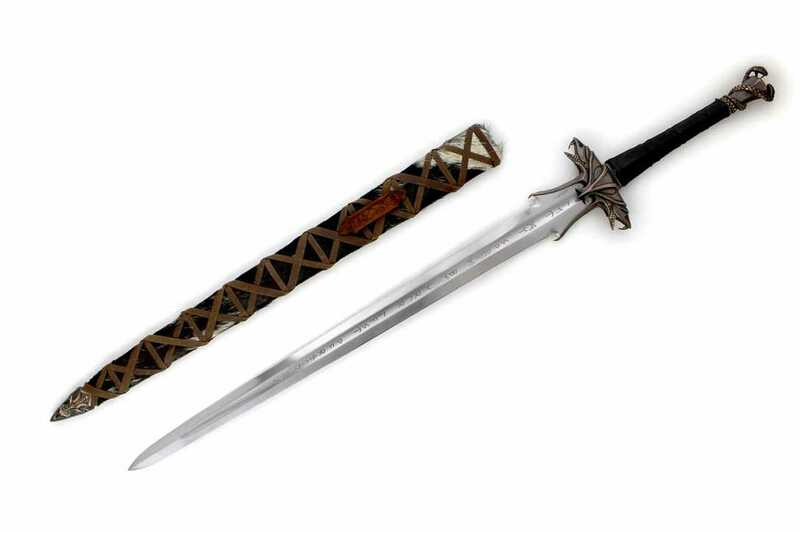 The Warmonger sword is individually hand forged and battle ready. The impressive resilient crisp blade is specifically engineered to penetrate plate armor with searing strength. Brutish yet refined, the Warmonger sword is in a class by itself. 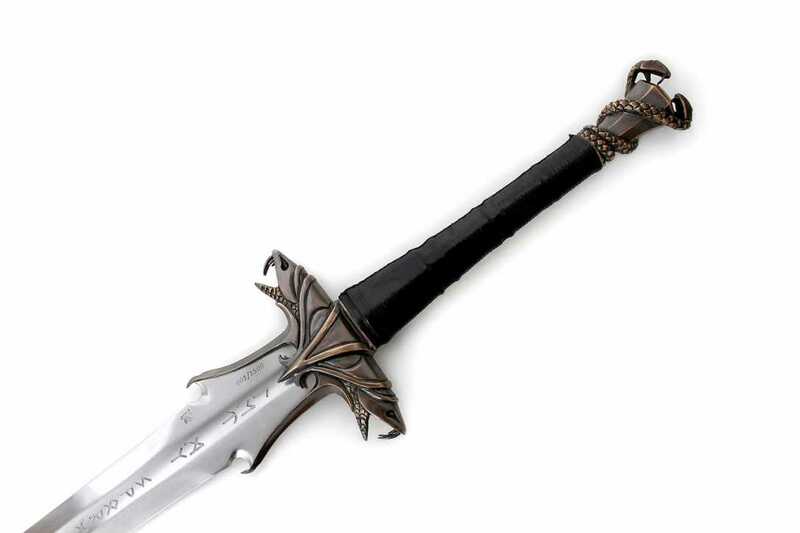 Relatively light, responsive and classically styled, the Warmonger Barbarian sword delivers what it was designed to do! 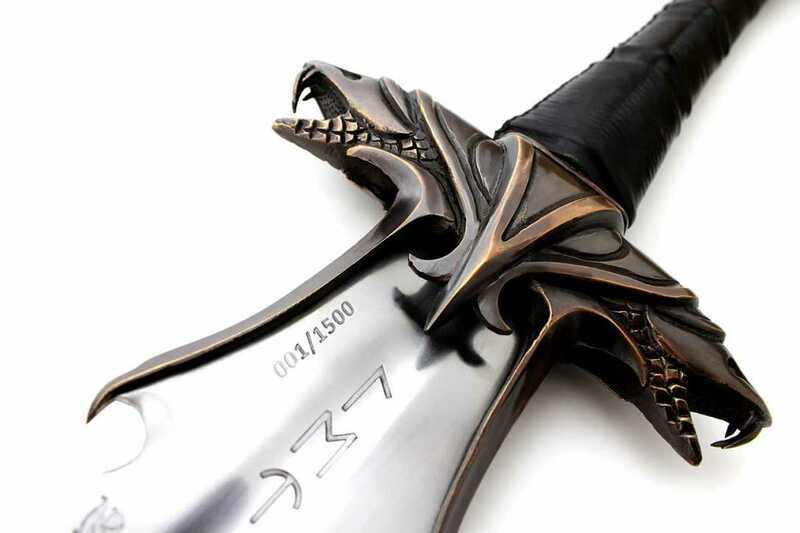 Backed by our commitment and reputation for forging some of the most durable swords in the industry, the Warmonger is faithfully crafted and stands as a legacy to the fantasy lore of the Warrior Norse mythology. The Warmonger is limited to 1,500 copies worldwide! 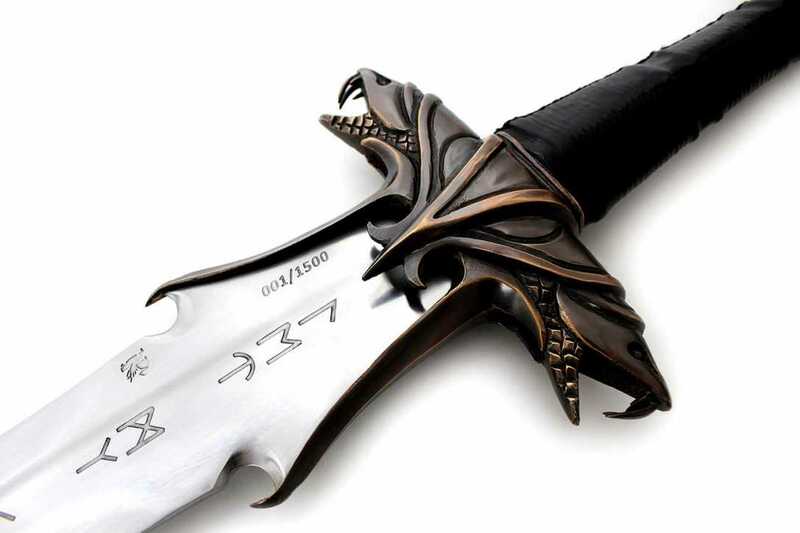 Each individually numbered on the blade. 5160 Hand Sharpened Spring Steel Blade, Dual Tempered with an edge HRC of 60 and core HRC of 50. Solid Bronze Fittings. 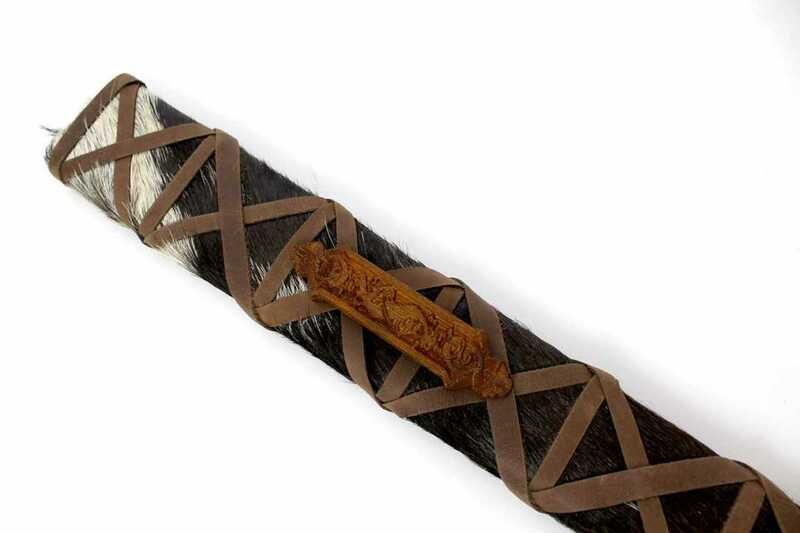 Wood core fur wrapped handle and scabbard.